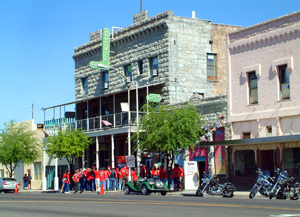 Welcome to the Historic Hotel Brunswick - Located in Kingman, Mohave County, Arizona on Route 66. Arizona attracts millions of visitors each year from all over the world. The wonders of the Grand Canyon, the majestic mountains, Indian ruins, ghost towns, river rafting, horseback riding and cattle drives are but a few of Arizona's enticements. 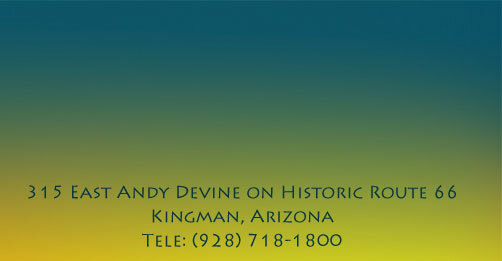 In Kingman, we at the Hotel Brunswick warmly welcome you to our part of Arizona and the American West. Should you find yourself, on Historic Route 66, Interstate Hwy 40 or Hwy 93 or Hwy 95, plan an overnight stay at the Brunswick where you will be assured of a "safe haven" for the night, in our historic boutique hotel with a distinct "Old West" flavour. Step into the Hotel Brunswick lobby and go back through the years to the early 1900's. Relive this nostalgic era as you find yourself surrounded by furnishing and décor of that era. Local architect, Joan Dilly, was able to preserve much of the hotel's original structure. 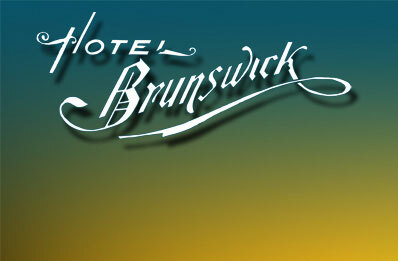 The current Proprietors of the Hotel Brunswick are Jason and Jennifer Pfaff who assumed management in late April 2006. Both have extensive experience in the restaurant business and moved to Kingman with their two children shortly after Hurricane Katrina hit the Gulf Coast in 2005. Both had been employed by the Beau Rivage Resort in Biloxi, MS prior to the hurricane. Jason and Jen Pfaff warmly welcome you to the Hotel Brunswick. Former guests to the hotel may recall receiving quality services in both accommodations and dining. The new proprietors are committed to continuing this tradition and the hotel's restaurant continues to provide the finest dining in the Kingman area. Click Here for Reservations for Hotel, Dining or Banquet Room. New Adventures await you on Route 66 ! To translate text on this website copy and paste text to the WorldLingo Free Translator. Or Use the Google Text and Web Page Translator at: Google Translator. Copyright 2006-2008 - Hotel Brunswick. All Rights Reserved. This site is XHTML 1.0 compliant.